Getting to the emergency room within three hours of the first symptoms will reduce the likelihood of a disability after a stroke. The death of "Beverly Hills, 90210" star Luke Perry this week from a massive stroke at the age of 52 is drawing attention to the risks for men of all ages. Men under 65 tend to fall behind other demographic groups in treatment and control of risk factors, according to the U.S. Centers for Disease Control and Prevention (CDC). Strokes among men in this age group may be more common than you think. On average, men in the U.S. have their first stroke at the age of 66. But nearly one in four strokes occur before then. Strokes are the fifth leading cause of death for Americans. 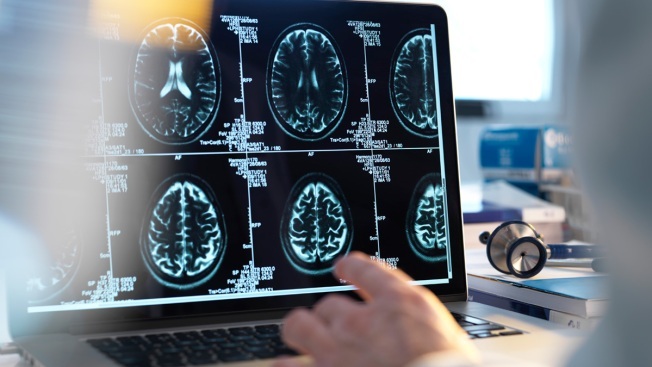 Experts have found that stroke-related hospitalizations doubled since 1995 among men 18 to 44, and the stroke risk among men 45 to 54 years increased from 24 percent to 44 percent. Economic stress, drug abuse, low access to preventive medicine, bad diets and the obesity epidemic have all contributed to the rise, according to Dr. Larry B. Goldstein, of the University of Kentucky and a volunteer medical expert for the American Heart Association. Most importantly, according to the CDC, 80 percent of all strokes can be prevented. Here is what everyone can do to avoid getting a stroke. Key to prevention is a combination of a healthy diet, a healthy weight, physical activity and avoiding smoking and excess consumption of alcohol. If you are a man, you are likely to be at risk: 3 of 4 American men are overweight, only 1 in 4 gets enough physical activity, and men are more likely to smoke than women. This is what the CDC, the American Stroke Association, and the Heart and Stroke Foundation say you should do. Limit salt to avoid increased blood pressure and avoid foods with saturated fat to keep your cholesterol in check. Do not eat more than the equivalent of 12 teaspoons of added sugar a day. Avoid sugary drinks. Excess sugar causes diabetes, another health factor that increases the risk of getting a stroke. Eat one or more fruits and one or more vegetables a day. Cook at home more often. "People who follow a healthy lifestyle have 80 percent lower risk to having a stroke," Goldstein said. Do at least 30 minutes of exercise a day, and to make it more fun, look for opportunities to do physical activities in your community. Monitor your weight, quit smoking, sleep fully every night, and avoid having more than two drinks a day. Ask your family doctor to guide you toward a healthier lifestyle. A recent study also suggested that vaping and hookah smoking, now popular among young people, increases the risk of strokes and heart attacks, Goldstein said. Results showed that e-cigarette users had 71 percent higher risk of stroke than non-users. Don't let young age, feeling good, doing exercise and being perfectly in shape fool you. You may be genetically prone to strokes. Luke Perry's father, for example, died of a heart attack when Perry was 14. Blacks are twice as likely to get a stroke than whites. The American Heart Association has reported that there may be a gene that makes African-Americans much more sensitive to the effects of salt, which in turn increases the risk for developing high blood pressure. So go to the doctor. The CDC and the National Stroke Association suggest you get checked for key medical risk factors such as cholesterol, blood pressure, heart disease and diabetes. If anything comes up, go for regular checkups and follow treatments with discipline. Take your medicines. Goldstein said that if you cannot afford to go to the doctor for preventive care, there are two ways you can detect medical risk factors for free. Go to any drug store and check your blood pressure. You can also put your thumb on your wrist and feel your pulse. If it's not regular, seek medical care. You should also be attentive to a special category of stroke, called Transient Ischemic Attack (TIA). TIAs are also known as mini strokes. The episodes are brief and you may not be aware you are having them, unless you pay attention to the symptoms. These include fainting and tingling in the arms and legs. A report by Harvard University Medical School recommends not ignoring these symptoms or attempting self-diagnosis. "The best action is to be evaluated at a hospital," the report said.